The term transpersonal means 'beyond the personal' and refers to those states, processes and events in which our ordinary limited sense of self is transcended and in which we obtain a higher, or deeper or greater understanding of ourselves and the world(s) we inhabit. For many people, the transpersonal is synonymous with spirituality, and many areas of interest to transpersonal researchers have traditionally been associated with religion (e.g., mystical experience, meditation). However the transpersonal also encompasses aspects of human experience that do not necessarily imply a spiritual-religious perspective (e.g., creativity, dreaming, ecological concern). Academic study of the transpersonal emerged in the late 19th and 20th centuries, and was mainly pioneered by psychologists and psychiatrists. 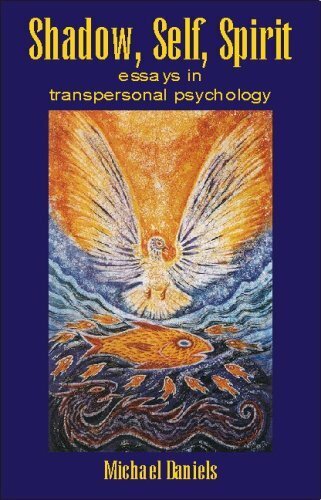 Transpersonal Psychology became a named discipline in the late 1960s and this was marked by the publication of the Journal of Transpersonal Psychology (1969) and the formation of the Association for Transpersonal Psychology (1972). Transpersonal Psychology aims to investigate the transpersonal in a scientific and scholarly way, while also recognising the importance of a commitment to transpersonal ideals such as empathy, compassion, personal-development and wisdom. Being a relatively new academic discipline, Transpersonal Psychology has yet to be recognised formally by the American Psychological Association. However, in 1997, the British Psychological Society approved the formation of a Transpersonal Psychology Section, as well as one for the related area of Consciousness and Experiential Psychology. Also several Universities in the US and Britain now offer Masters and Doctoral level programs in Transpersonal Psychology. As a branch of psychology, Transpersonal Psychology is primarily concerned with the psychological understanding of the transpersonal, However, it also recognises the importance of a mutli-perspectival and integrative approach in which other disciplines are acknowledged to have their own contributions to make in our combined explorations of the transpersonal. These other disciplines include philosophy, psychiatry, sociology, politics, education, anthropology, history, literary studies, religious studies, biology and physics. Transpersonal psychology is NOT a religion or ideology. In the broadest sense, transpersonal psychology is a scientific enterprise. 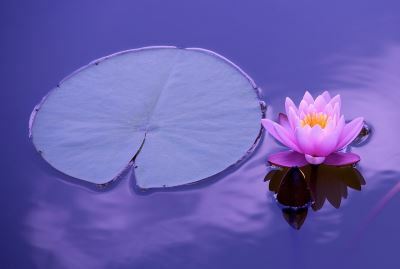 Individual transpersonal psychologists may or may not have their own religious or spiritual beliefs, although most will be engaged in some kind of transpersonal practice (e.g., meditation, ritual, service, devotion, transpersonal therapy, reflective living, political action). Although there is currently a predominance of Buddhist-inspired transpersonal psychologists, other traditions are also well represented. These include Christian, Jewish, Sufi, Hindu, Shamanic, Taoist, Tantric, Magical, Gurdjieffian, Theosophical, and Agnostic. Transpersonal psychology is NOT the New Age. Although transpersonal psychology represents a paradigm shift in consciousness, science and culture, it seeks to distance itself from the kind of uncritical adoption of New Age beliefs that characterises certain elements of the so-called counter culture. Transpersonal psychology has very little, if anything, to do with crystals, UFOs, alien abduction, chakras, auras, fairies, psychism, aromatherapy, levitation, fire-walking, or the new millennium, except as these phenomena, practices or experiences may be investigated in terms of their transformational consequences. Transpersonal Psychology is NOT metaphysics. This is rather more problematic, because many would claim that transpersonal experiences imply a metaphysical belief in a spiritual, divine, or transcendent realm. However, there are some transpersonal psychologists who understand the transpersonal in more immanent terms, for example the developing of a greater sense of connectedness with the deeper Self, the world of nature, or the social, interpersonal dimension. In practice it is important that transpersonal psychologists are clear and open about their own metaphysical assumptions. Transpersonal Psychology is NOT anti-rationalist. Although many would argue that the highest states of transpersonal consciousness are ineffable and beyond a rational appreciation, transpersonal psychology does not dismiss or devalue rational and intellectual analysis, which can add much to our knowledge and understanding in these areas. However, it is important also to acknowledge the reality and importance of non-rational modes of knowing, such as intuition, integrative awareness, and contemplation.